S&P Global Ratings affirmed its ‘B-/B’ long- and short-term foreign and local currency sovereign credit ratings on Ukraine. The outlook is stable. “While the economy is growing and inflation is on a downward path, the financing outlook is uncertain for government foreign currency redemptions beyond 2019, when Ukraine will have to negotiate a fresh agreement with the International Monetary Fund (IMF),” S&P said. Ratings pressure could build if disruptions to funding from concessional programs or capital market access over the next year call into question Ukraine’s ability to meet large external repayments over the remainder of the year and in 2020. “An adverse final ruling in Ukraine’s legal battle with Russia over a Eurobond issued in December 2013, and held by Russia, could have implications for Ukraine, in our opinion. Such a ruling could be some years away. However in a worst-case scenario, it might create technical constraints for Ukraine’s ability to repay its commercial debt held by other creditors, which would pressure the ratings. We note that the government believes there is no potential for technical constraints on debt service, even in the case of an adverse ruling in the future,” S&P said. 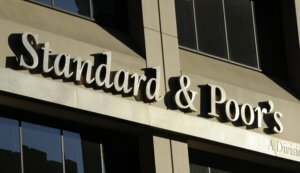 “We could consider a positive rating action if we see improvements in growth, fiscal and external imbalances beyond our expectations, and if we conclude that the security situation in the non-government-controlled areas in the East of the country has stabilized and further escalation is unlikely,” S&P said. 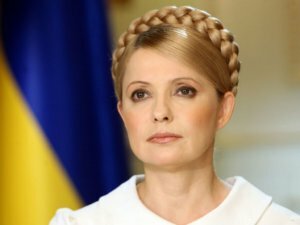 Yuliya Tymoshenko, leader of the All-Ukrainian Union Batkivschyna (Fatherland) party, has been on the top in presidential ratings in Ukraine, being followed by such candidates as showman Volodymyr Zelensky, the leader of the Civil Position party Anatoliy Hrytsenko, the leader of the Opposition Platform — For Life bloc Yuriy Boiko, and the incumbent president Petro Poroshenko. This has been established as a result of an all-Ukrainian opinion poll jointly conducted by the Ukrainian Oleksandr Yaremenko Institute for Social Research and the Social Monitoring Center from December 1 to 10, 2018. Some 14.8% of those polled said they would vote for Tymoshenko in the upcoming presidential elections in Ukraine, which are due on March 31, 2019. The other candidates have the following ratings: 8.8% for Zelensky, 8.6% for Hrytsenko, 8.3% for Boyko, and 8.1% for Poroshenko. At the same time, 14.1% of those polled could not provide an answer and another 11.8% said they would not go to vote at all. Among the respondents who have made up their mind and are going to cast their votes in the elections in March, 20% would vote for Tymoshenko, 11.9% would vote for Zelensky, 11.6% would vote for Hrytsenko, 11.1% would vote for Boiko, and 10.9% would vote for Poroshenko. Some 3.2% of those polled said they would vote for some other candidates. A total of 2,198 people were polled in face-to-face interviews across Ukraine for the exception of the temporarily occupied territories. The sample standard deviation is not more than 2.1%. Yuliya Tymoshenko, leader of the Batkivschyna (Fatherland) party, has been taking the lead in the presidential ratings, with showman Volodymyr Zelensky coming second and the incumbent President Petro Poroshenko coming third, a poll conducted by the Kyiv International Institute of Sociology has shown. According to the results of the poll that were announced at a press conference at the Kyiv-based Interfax-Ukraine news agency, if the presidential elections were to be held in November and the respondents could only choose from 37 candidates, then 11.9% (21.2% of those who have made up their minds) would vote for Tymoshenko, 8.2% (14.6%) – for showman Volodymyr Zelensky, 6.5% (11.6%) – for the incumbent President Petro Poroshenko, 6.2% (11%) – for the leader of the Opposition Platform — For Life Yuriy Boyko. Also, 4.9% (8.7% of those who have made up their minds) would vote for the leader of the Radical Party Oleh Lyashko, 4.6% (8.2%) – for the leader of the Civil Position party Anatoliy Hrytsenko, and 2.1% (3.8%) would vote for the rockstar and civil activist Sviatoslav Vakarchuk. At the same time, 27.6% of the people polled could not make their choice, 9.3% decided not to take part in the vote, and 4.7% would strike off all the candidates or destroy their ballot. The poll was conducted by the Kyiv International Institute of Sociology from November 23 to December 3, 2018. A total of 2,000 people were polled in 110 towns across Ukraine except for Crimea and the occupied territories in the Donetsk and Luhansk regions. The statistical error of the sampling is no more than 3.3% for figures close to 50%, 2.8% for figures close to 25%, 2% for figures close to 10%, and 1.4% for figures close to 5%. 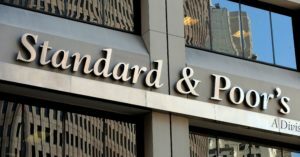 S&P Global Ratings has raised its long-term national scale ratings on Ukraine to ‘uaBBB’ from ‘uaBBB-‘ and removed the UCO designation from the ratings. “Our global scale issuer and issue credit ratings on Ukraine are not affected by today’s rating action,” S&P said. On April 20, 2018, S&P Global Ratings affirmed its ‘B-/B’ long- and short-termforeign and local currency sovereign credit ratings on Ukraine. The outlook is stable. According to the report, the next scheduled rating publication on Ukraine will be on Oct. 19, 2018. S&P recalled that National scale ratings express its opinion of the creditworthiness of an issuer or a debt instrument relative to other issuers and issues in a given country. The purpose is to provide a rank-ordering of credit risk within the country. 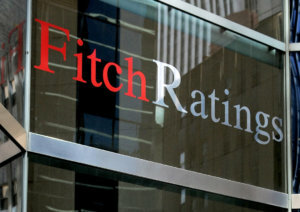 Fitch Ratings has affirmed Ukraine’s Long-Term Foreign-Currency Issuer Default Rating (IDR) at ‘B-‘. The Outlook is Stable, Fitch has said in a press release. In addition, Long-Term Foreign-Currency IDR affirmed at ‘B-‘; Outlook Stable; Long-Term Local-Currency IDR affirmed at ‘B-‘; Outlook Stable; Short-term foreign-currency IDR affirmed at ‘B’; and Short-term local-currency IDR affirmed at ‘B’. Country Ceiling affirmed at ‘B-‘. Ukraine’s ratings balance weak external liquidity, a high public debt burden and structural weaknesses, in terms of a weak banking sector, institutional constraints and geopolitical and political risks, against improved policy credibility and consistency, the sovereign’s near-term manageable debt repayment profile and a track record of bilateral and multilateral support.